What keeps the masses of people acting in unison against global warming and resource overuse these days? Obviously there are those who don’t believe, for one reason or another. But for those who do accept science as the objective truth — and they can truthfully say they care — how much do they actually do? Why do some do more than others? Is there an environmental incentive that makes taking action more pertinent to some? It may be against human nature to concern ourselves with something that doesn’t seem to imminently endanger our survival. A huge obstacle in building an army of eco warriors is the people’s lack of exposure to the physical and observable negative effects of global warming, such as extra hot summers, agricultural impact from drought, plant and animal die offs, etc. It would help a great deal if they saw these depressing sights with their own eyes, and thus through the lens of sustainable food and agriculture. Think about what we are shown in the media, like vacation spots. A given place usually gains much more popularity if it is famed for its beauty, rather than for signs of direct or indirect destruction from human impact. Tahiti, the Bahamas, the British Virgin Islands, Yellowstone Park — all places that are attractive because their look appears unaffected by humans’ abuse. Some areas of the planet are much more affected and/or show the effects of global warming more vividly than others; if one doesn’t see the direct consequences of global warming and overuse of resources, they are so much less likely to act or even truly care. Places like California and the US Midwest, which play an enormous part in the food system are such places. While parts of California like the central coast are beautiful, if you’ve ever been there in multiple seasons, you’d see that the health of the land depends on the seasonal climate. In the winter, after the rains have come, the grasses on the hills are a rich green, and the shrubbery is thick among the trees; in the summer, though, the grasses turn a golden brown, and the shrubbery turns sparse. California is by far the main food-growing state in the US; 90% fruits and vegetables that the nation eats are coming from California. A number of factors, including overpopulation and global warming, have caused the state to be in a perpetual state of drought, which particularly impacts the farmers. California’s weather system may have naturally brought about a drought, but climate change has definitely exacerbated it. The farmers are part of the relatively few in the state that actually have to deal with and worry about lack of sufficient water. It also affects immigrants and others looking for farm work; with less water to use, there is less farming to be done, and fewer laborers to hire. Many of the rest in the people in the state, even if they are aware of California’s drought as a whole, are so much less worried because it does not directly affect their lives like it does the farmers. Farmers here are aware and realize the importance of being an active eco warrior because of what they have seen and experienced. The same idea applies to Alaska. If one is impacted harshly by global warming, they never let it out of mind. The fishermen and women in Alaska, specifically Bristol Bay, who make their entire year’s living off the sockeye salmon that come through once each year, are all extremely proactive and passionate eco warriors; they are aware as well because their lives’ practice is the fish — a food source that must remain sustainable. The people here work for three or four months fishing during the salmon spawning season and live off that salary for the rest of the year. If global warming were to affect the salmon population to a serious degree, which they already vigilantly watch for, all those people’s lives, stability, and even the local economy would greatly suffer. The wildlife oversight organizations that look after the Bay have people diligently calculate estimates of total salmon throughput each year. They are so serious about preventing overfishing that they installed a rule that all the salmon fished out during a given season can never exceed 50% of the total estimated number of salmon throughput that year. The people have monitoring, rules, conservation, and action–all because the consequences of a critical amount of resource overuse, in this case a seriously harmful hit to the salmon population, would be incredibly problematic for the livelihoods of everyone in that area. Anyone who depends on the fish outside of the Bay’s population would be affected, too. 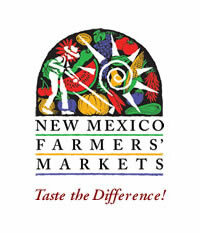 Members of New Mexico’s agriculture system also share this same awareness. My friend Julia is directly involved in New Mexico agriculture herself, and is a farmhand in Albuquerque with North Valley Organics. She lives completely off the grid in a solar-powered house, and is supplied by a propane generator for her water well. I asked her if there was a definitive moment in her life when she began to see through a lens of sustainable food and agriculture, and if so, when and why? In short, she responded with the following. The farms are all about reusing materials and the ground. This is especially important because sustainability has gained a lot of popularity, and it is present in many people’s minds; however, many less people are actually committed to being acting and make change. Between working on the farm and school projects on sustainability, Julia realized that sustainability is more of a fad for many people; nevertheless, if we were all small scale farmers, the world would have fewer problems with hunger and declining environmental health. Many people probably don’t do what Julia does because sustainable living requires a lot of commitment, planning, and focus. Since beginning work on the farm she’s realized also that buying locally helps remove consumer demand for the products of big agricultre, large corporations that generally produce and distribute food much less sustainably. If someone were to look closely at cultures and areas with populations that are directly affected by the consequences of global warming and resource overuse, they would gain a new level of care as an eco warrior. I believe the key to effectively spreading the passion for being eco warriors is to take those who are not interested in the the toils of humans’ impact and immerse them in an environment where it is extremely pertinent. If people better understood what kind of struggles are rising, though they probably do not see them or are directly affected by them on a daily basis, the problems would become much more real and worth their attention; they would begin to see through the lens of sustainable food and agriculture.